You might have noticed my introduction to the Marula Beauty Facial Oil & the brand a few weeks back, but now I'm back to give you my full review and let you know how I've been getting on. I'm happy to report I still love it just as much as I did at the start, actually no scratch that I love it even more and my skin is looking/feeling amazing. 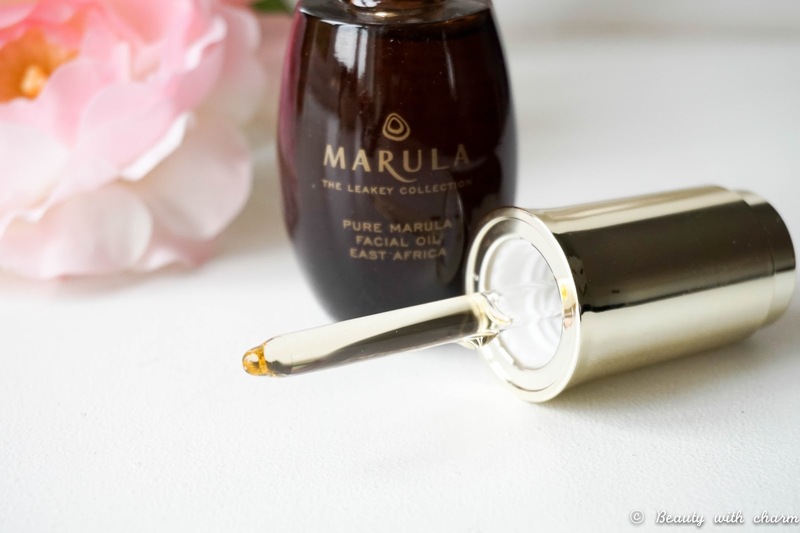 Facial oils have become staples in my routine for almost a year now and I love nothing more than applying a nourishing oil to my skin in the evening as my nightly serum. So I kinda had a feeling from the very start that I would enjoy using this oil. I tend to have dehydrated skin the majority of time, so if I need to go to bed with a super shiny face I will happily do so as long as long as my skin feels soft & hydrated the next day. The great thing about this oil is that it offers the moisturising effect I'm looking for but it doesn't leave my skin feeling oily, so I could easily see myself adding a drop or two to my regular daytime moisturiser too if I'm looking for a hydration boost. Luckily my skin is behaving especially now during the summer months so I haven't had to do that yet, but the brand do recommend it as a day serum & even a primer before foundation if you've got dry skin. Due to its fast absorption & satin finish I've no doubt that this could be easily used during the day by someone with dry skin. I love that this oil is all natural, the ingredients are literally 99% Marula oil & 1% essential oils so no nasties going on over here. It's also wild harvested, hand selected & cold pressed without the use of heat to ensure its beneficial properties are fully captured. Not only that but the oil has been proven superior to any other oils such as Argan oil due to the fact that it's got a 60% higher antioxidant level which is powerful towards premature ageing. 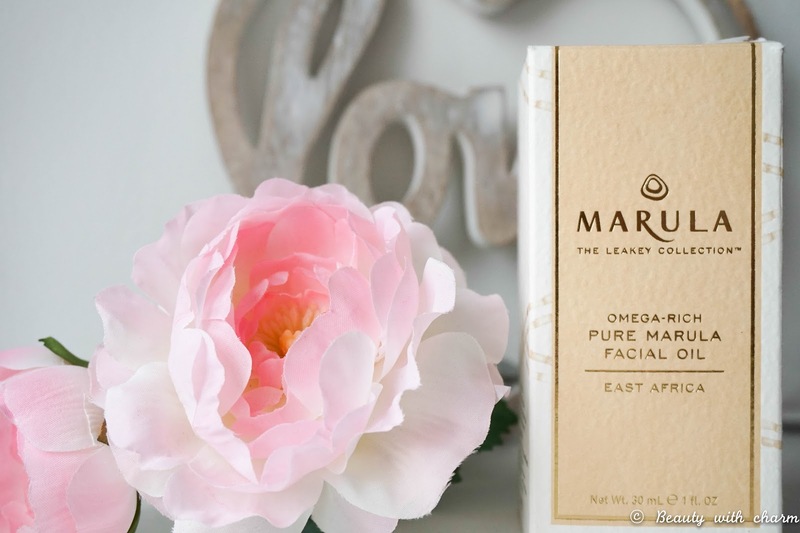 It also contains fatty acids such as Omega 6 & 9 which are super moisturising for the skin, helping it to stay soft & supple. If that wasn't enough the oil is even doctor recommended by one of the co-founders Dr. Kaidi who recommends it to his patients for soothing sensitive skin after any treatments such as microdermabrasion, chemical peels & even surgeries. So to sum it all up it's amazing for healing skin & the best oil for fighting ageing. I'm lucky not to be worrying about wrinkles just yet but if they can be prevented (not forever of course but for as long as possible) then I'm up that. 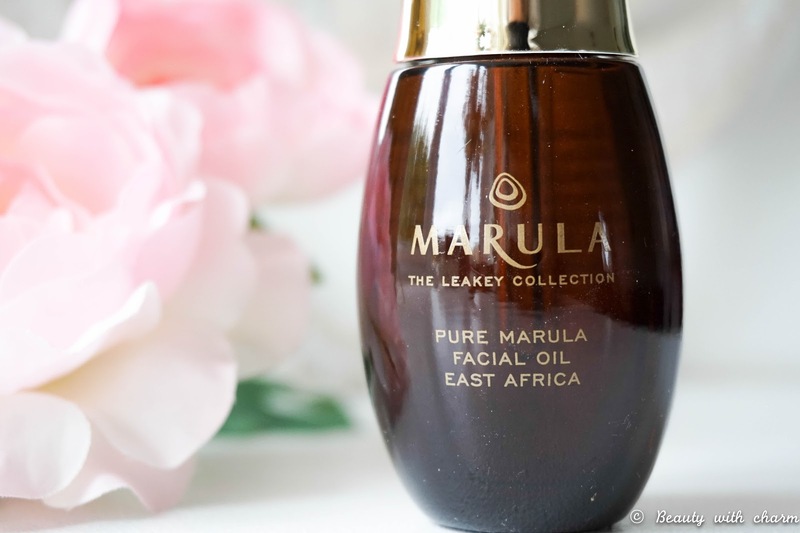 I've quickly mentioned before that the brand are very responsible with the way they harvest this oil and that they provide a sustainable life for African women & their families through it all. I really like this idea and it's fantastic to know that they are bringing schools & other enriching programs to the communities they are working with. So of course the price is going to be that little bit higher £37.50 for 30ml (in your local Holland & Barrett stores) but I definitely feel like it's worth because it feels & looks so luxurious. Not to mention that a few drops goes a long way so I've barely made a dent in it after almost a whole month of nightly use. In terms of scent for anyone out there with fussy noses like mine, this oil has a very delicate scent with hints of lavender. The scent isn't strong in any way as it disappears instantly when applied to your face, making it even more of a pleasure to use. So all in all before I ramble on anymore I am in love with the oil & I am so happy to have been introduced to the brand. Considering how little product I've used so far I can see this lasting me throughout winter which I'm really happy about as that's the season when my skin tends to get a little bit crazy & super dehydrated. 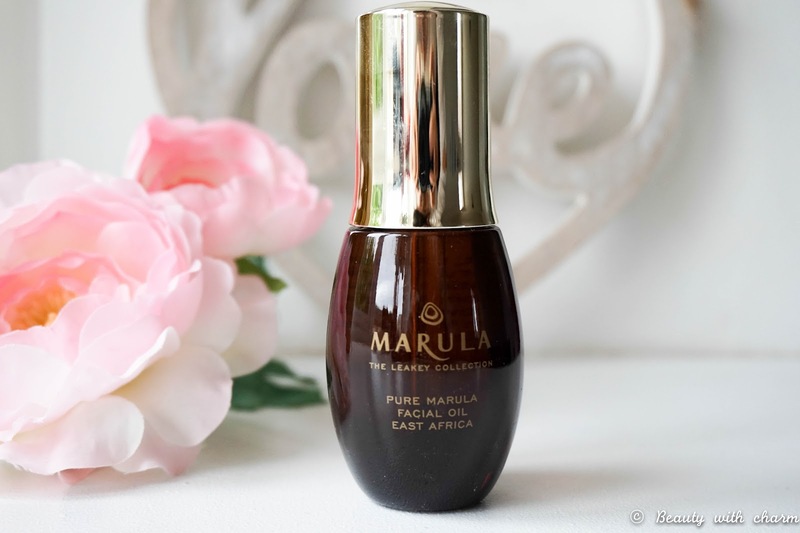 I'd love to know if any of you love facials oils as much as I do & would you use Marula oil in the future after reading about the many benefits?